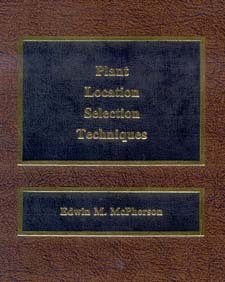 Plant Location book from C.H.I.P.S. Plant Location Selection Techniques ties together history, legislation and economics to create an awareness of what chances an individual will have when he selects a location for a plant. This book was designed to provide you with a checklits of things to do in analyzing a potential site. It was also designed to provide state and local industrial development staffs guidance in their efforts to obtain industry.